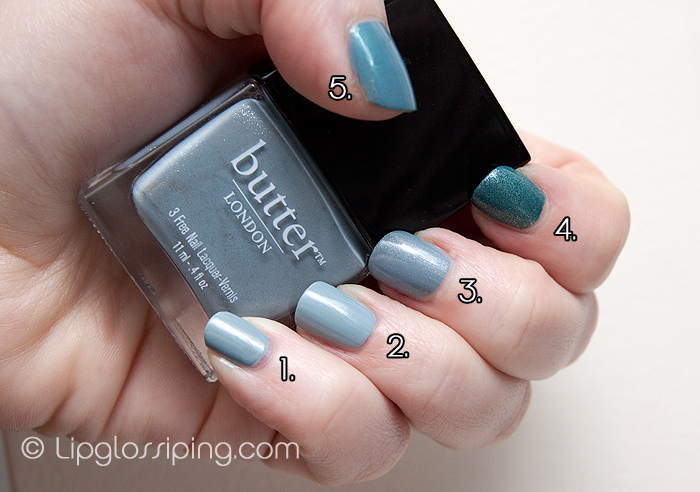 5 of the best… Moody Blue Nail Polishes! Ok, so these aren’t necessarily ‘moody’ but I didn’t know how to describe them. I love blue polishes and wanted to do a comparison post showing some of the blues in my collection that are a little different to the norm. A little greyer… a little more… stroppy. Some of you were also keen for me to elaborate on potential dupes for Butter London’s new Lady Muck polish. I’m afraid I came up empty handed on that score! A close up so that you can see the finish of each polish. You can see that the HTF Essie Sag Harbor and Eyeko Rain are definitely quite close in appearance. Yesterday I was also asked about the differences between BL Lady Muck and Victoriana. Hopefully you can see that they’re worlds apart. Barielle June Bug? Well that’s just a fun odd ball! Incidentally, I wonder what’s happened to Barielle’s Spring/Summer collection… anyone know if there is one? What are your favourite ‘odd’ blues to wear? 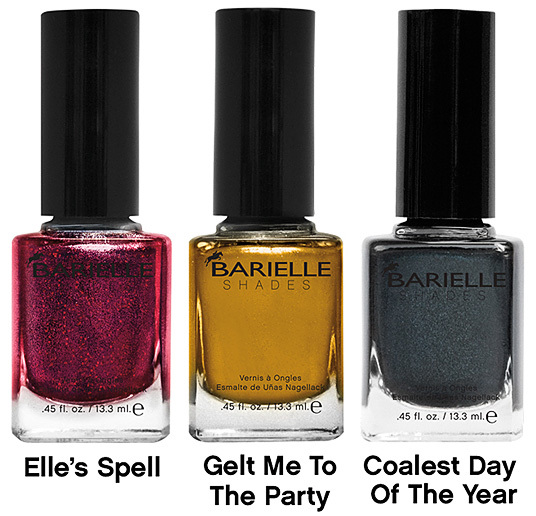 Deal Alert – Barielle Holiday Hustle Collection – 20% Off! I’ve got an exclusive 20% off discount code for my lovely readers to take advantage of Barielle’s brand new Holiday Hustle Nail Collection! If you want to take advantage of the promotion, simply use code lipglossiping (lower case) at checkout. The code is good for 2 weeks from today and when I checked a few days ago (I’m on holiday now), it was working store-wide! Let me know if you succumb to temptation! I’m a nosey sod! It’s the last one! That’s it! You’ve seen all 6 of the new Barielle Style in Argyle polishes from the Autumn/Winter collection that I was sent… Cowl of the Wild is probably the most on trend shade from the collection. A ‘propah’ greige/mushroom/taupe blah blah thingamibob. Am I getting bored of these yet? Not on your life… though I do think I’m starting to accumulate a couple too many. I prefer these mid-toned mushroom shades to the darker YDKJ ones. I think the stand out delight from this new Barielle collection is just how truly creamy they look on the nails… perhaps it’s the warm chocolatey shades, or maybe it’s just the formula, but each is a delight to look at in that aspect. I’m not so keen on the fact that each shade needed 3 coats for a good finish. 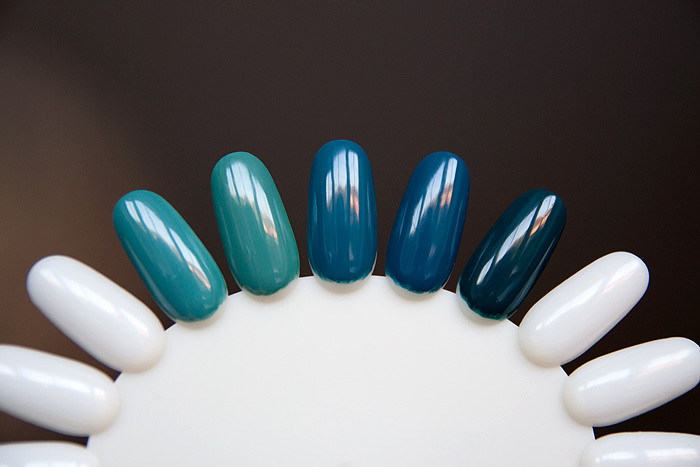 None of the shades are particularly pale… I would have prefered them to be 2-coaters… am I fussy? Only a little. 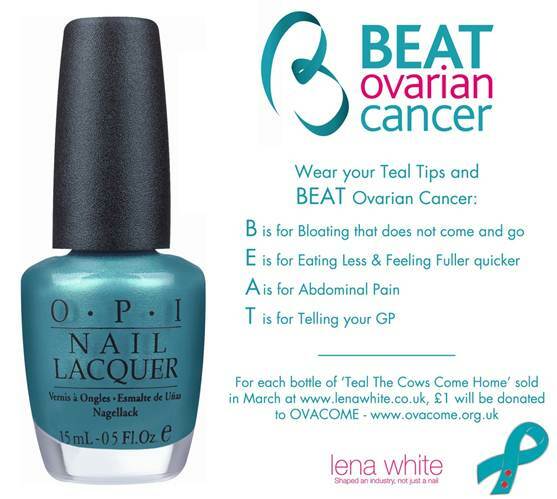 The penultimate shade from the Barielle A/W Style in Argyle collection, and I have to say… it’s my favourite! And I don’t really know why! I generally REALLY dislike ‘wine’ type shades…. but this… it’s just so flattering on a cool skintone and totally screams Autumn to me. Lovely. I’m getting tired of saying this.. but once again, 3 coats for a fully opaque finish. For a range of such dark colours… I would have prefered to be done in two coats with most of them… but at least the formula throughout is consistent, glossy and smooth. This is the fifth in the series of six that I was sent for review consideration. Barielle’s Aura Angora is an opaque, creamy mustard. It’s more wearable than I thought it would be, though I think it would suit shorter fingernails better. Formula throughout the collection is consistent, three coats needed to achieve that perfect finish but all provide a high gloss shine. This is the third in the series of six that I was sent for review consideration. Barielle’s Tight Knit is described as “a purple brown crème” and is one of my favourites from the collection. It’s one of the few that particularly flatters a cooler skintone though still encapsulates the warmth and cosiness that this set delivers. 3 coats are shown above and I had no issues with application. The cremes from the Style in Argyle collection are all glossy in their finish and don’t require a top coat to achieve this. This is the second in the series of six that I was sent for review consideration. Barielle’s Cashmere or Loose Me is described as a “Soft brown with copper pearl” and it’s the only shade from the new Style in Argyle collection that gave me application issues. You can see the dragging near the cuticles? This is with 3 coats… I’m not happy about that, though to be fair, it was less noticeable in real life than it is in the picture. What I do love is the ‘copper pearl’ – it gives an added dimension, something that I’ve come to expect from Barielle’s polishes. The copper pearl isn’t visible in the above photo (though it is on the nail), so I’ve taken a photo of the bottle which shows the effect well. This is the first in the series of six that I was sent for review consideration. This week I’m gonna be showcasing the Barielle Style in Argyle Autumn collection… I have mixed feelings about the collection as a whole. 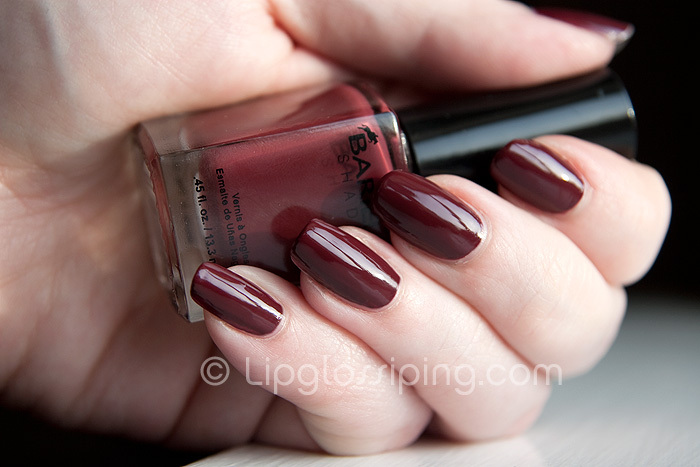 It feels very different to Barielle’s usual releases but I do love the warm, cosy, Autumnal theme. One of my favourite things about Barielle’s collections however, is their eclecticness and this collection doesn’t stray from the path laid out. It couldn’t be more ‘on trend’ though could it? Camel IS the colour for Autumn… Barielle have solidly nailed it in that respect. What are you first impressions? Stick around for this week’s NOTDs if you want to get up close and personal with the Style in Argyle collection! 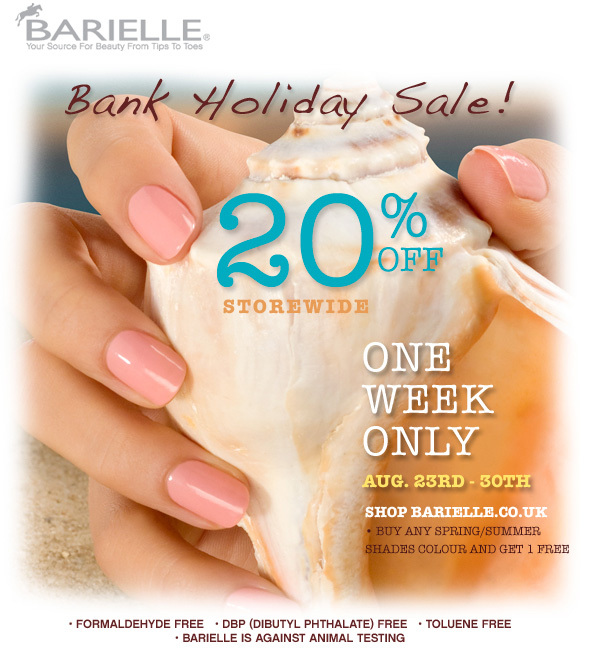 Barielle – BOGOF on S/S 10 AND 20% off?! Don’t walk…. 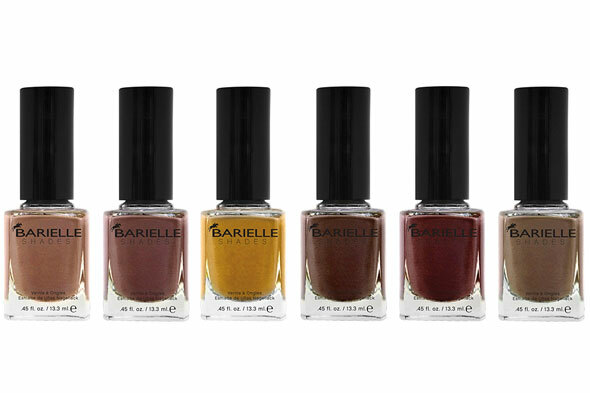 RUN to the Barielle website where until the end of the week you can take advantage of the Buy One Get One Free offer that’s ongoing on the Spring/Summer shades. But… as if that weren’t enough… they’re automatically deducting ANOTHER 20% at checkout which means that you can nab two Barielle’s for £6.40! Ordinarily retailing at £8 a piece, we don’t need calculators to deduce the amazing value in that offer!